Plasdŵr, Cardiff’s Garden City, which is currently under construction, has been shortlisted for a prestigious UK design award. The masterplan for the 900-acre site in the north west of the capital was submitted by planning and design consultancy, Pegasus Group, who worked with lead developer Redrow Homes to create it. Shortlisted in the national Planning Awards Design Excellence category by an expert panel for how it will improve local, educational and leisure facilities as well as supporting 30,000 jobs during construction and beyond. Its future contribution to higher use of public transport was recognised by the panel as well as providing £73 million in wider community benefits. The winner will be announced at an awards ceremony at Savoy Place, central London on 6th June. Plasdŵr, which takes its design inspiration from the original garden city movements principles of “fresh air, sunlight, breathing and playing room”, balances open space, which will make up 40% of the whole site, with infrastructure, social space and homes, all to be completed to the highest standards of quality, design and finish. Construction started in March 2017 and will continue for the next 15-20 years. “Placemaking, high quality design and the wider contribution to Cardiff’s community and its economic growth is what Plasdŵr is all about. To have that recognised by some of the UK’s leading planning and design experts is not just good news for the garden city, but also for our capital city. With up to 7,000 homes planned over the site bordering Radyr, Fairwater, Pentrebane and St Fagans, Plasdŵr is identified in Cardiff’s Local Development Plan as key to the city’s economic growth. It will have four distinct centres of individual character, each with a central square and primary school. 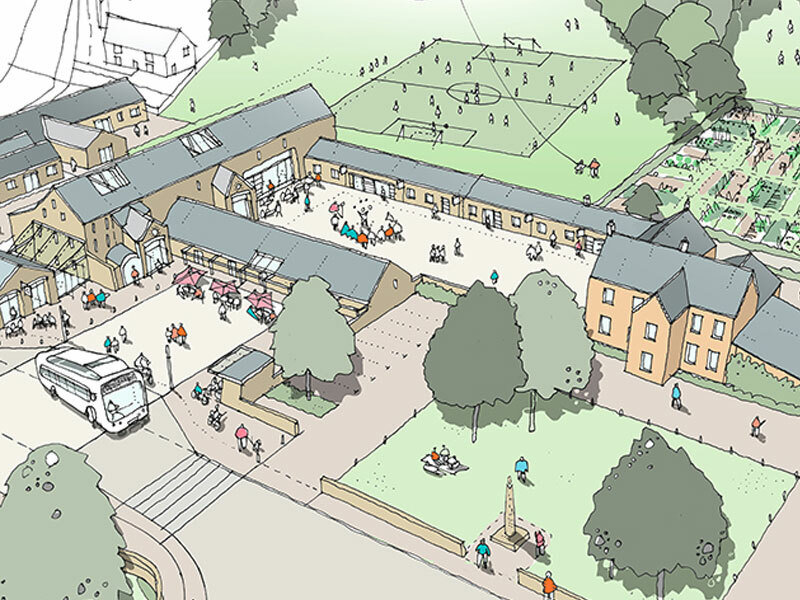 There will also be a secondary school, shops, offices, health and leisure centres, pubs and restaurants. Currently, work is underway on the first phase of Plasdŵr at Llantrisant Road and Pentrebane Road in St Fagans and the first residents have already moved in.